With hundreds of wines offered for tasting, wine lovers will find an embarrassment of riches awaiting them at the Monterey Wine Festival, June 1-2, 2019. On Saturday and Sunday guests will dine on savory bites paired with selected wines, beers and spirits at the historic Custom House Plaza. Included in the Saturday ticket price is the Chowdah Challenge & Celebration where professional chefs from the West Coast duke it out for the title of best chowder. Guests can sample previous award winning chowders, pick their own personal favorites and simply enjoy cuisine that has become synonymous with the Monterey Bay. Included in the Sunday ticket price is another seaworthy celebration with the Kings of Calamari and Masters of Mussels events. Locals and restaurants bring different seasonings and flavor combinations for various tasting throughout the day. General admission tickets are $45 or $90 for a two-day pass. Purchase tickets at the official Monterey Wine Festival ticketing site. 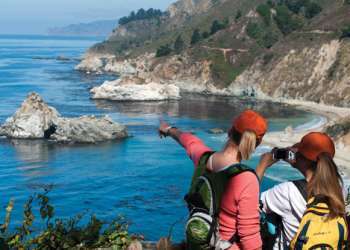 Several hotels are conveniently located in downtown Monterey and walking distance to the event including the Monterey Plaza Hotel & Spa, Portola Hotel & Spa, Monterey Marriott, and Hotel Pacific.